Paul Boag: This week on the Boag World Show, we're joined by Caroline Bell, whose endless positivity and head full of plans will end this season on an inspirational high note. This week's show is brought to you by Fullstory and Balsamiq. 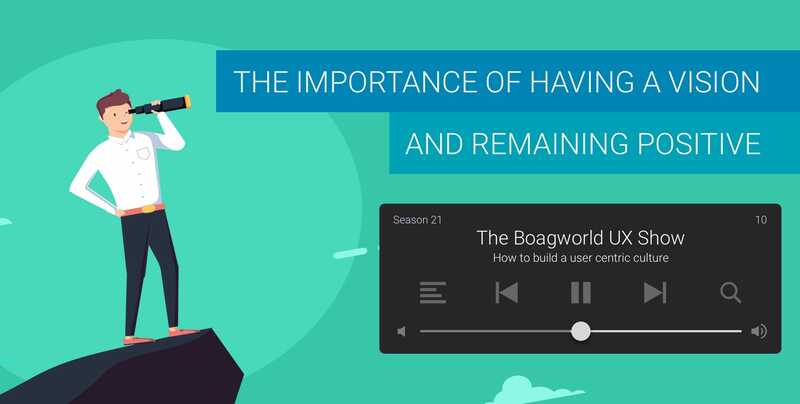 Hello, and welcome to boagworld.com, the podcast for [inaudible 00:00:35] designing, developing and running websites on a daily basis. I've gone back to an old introduction haven't I? I don't normally do that one anymore. Marcus Lillington: Designing and stuff on a daily basis. Paul Boag: Where did that come from? Paul Boag: End of season. Marcus Lillington: Yeah, last one in the series and all that kind of stuff. Paul Boag: It feels like summer's out. Hurrah, except all the work I've got to do tomorrow, but you know. Marcus Lillington: I'm taking my grandchildren to the seaside tomorrow. That'll be nice. Paul Boag: On a Friday? Shouldn't you be working sir? Marcus Lillington: Well, I'm taking the day off. An official day's leave. Paul Boag: I don't know whether that's allowed. Marcus Lillington: I'm actually going to talk about that in a minute. Paul Boag: What, taking time off? Marcus Lillington: Well, one of the aspects of my thought for the day. Paul Boag: I see. Well, while you're going to the seaside, I'm going to an Apple store because I've got a sticky keyboard. It's most annoying. Marcus Lillington: That's a common thing. The G key sticks on mine. Paul Boag: Mine's the N key, and it doesn't just stick, it just does not work now, so I've been forced into doing something about it. What's really annoying is this is the second time I've had to do it. I've already taken it in once. Marcus Lillington: Yeah, Ian's had to do the same at our place. Marcus Lillington: They're known for it. It's a common problem. Paul Boag: I know it is, and at least they're doing it for free, so you can't complain. Well you can. Marcus Lillington: You can a bit. Where've y got to go to the Apple Store? Paul Boag: Well, it's actually not an Apple Store because Dorset, so you know. Marcus Lillington: Exactly. That's why I asked the question. Paul Boag: As it is, I have to drive to Wiltshire in order to get help, so I've got to go to Salisbury. Marcus Lillington: The nearest actual Apple Store to you is what? Southampton? Basingstoke? Paul Boag: Southampton would be the nearest, yeah. Marcus Lillington: That's what comes with living out in the [inaudible 00:02:37] Paul. Paul Boag: I wouldn't change it at this time of year. Marcus Lillington: It's fabulous isn't it? Paul Boag: How long does it take you to get to the seaside tomorrow? Marcus Lillington: Ages. I'm proper landlocked. The nearest place we can go that's with a nice beach West Wittering, and on a really good run, that's an hour. It'll be more than that tomorrow. For you, what, you're 20 minutes aren't you? Paul Boag: About that, yeah, so ner ner nerner ner. But then, as someone that had to go up to London three weeks on a trot, at the moment, I think I would swap with you. Marcus Lillington: Well, I've been doing the same, and I say we're about to kick off a project, I've actually just spoken to the guys and they're like, "We're going on holiday, that person's gone on holiday, and we've got to do some student interviews, so that'll be rubbish in August. Let's just put it all back a month." I was going to say that I'm going to be doing the same over the next month, but I'm not. Paul Boag: Yeah, it's that time of year isn't it? Its like trying to arrange any kind of work at the moment, turns into this logistical nightmare. I've got a really good client that unfortunately I'm in a NDA over so I can't actually say who it is, but it's like, "Okay, we want this by the end of this month, and by the way, I'm away for two weeks of it." What? Marcus Lillington: Yeah. They want it to happen automagically. Paul Boag: Yes. There we go. They'll get what they get then, if they're not going to be around to tell me I'm doing it wrong. Marcus Lillington: Just your opinion Paul. That's all they're paying you for anyway, so it doesn't matter. Paul Boag: It is true. It's really funny, this particular client, they sent through a load of previous stuff that other agencies over the years has written for them, and I'm reading through it going it's spot on, everything they've written is spot on, they've had really good advice, but it's like my style is so different. I can't write like they do. It's all very grown up and proper and very businessy, and lots of numbers and data that obviously don't mean anything, they're all just made up, but it looks impressive. I can't do that, so there we go. But they want to work with me anyway, so I can't be doing it entirely wrong can I? Marcus Lillington: No. The amount of documentation you and I have written over the years, and especially the long reports that you do, you've got to cover a lot of stuff. You've been hired to look at a big thing, so you're going to write a lot of stuff about a big thing aren't you? Marcus Lillington: I often wonder, of course they're read once, but are they just then tucked in a drawer? Paul Boag: I know. Yeah. This particular one that I'm writing, I've ummed and ahed over it because it's a new big client and you're like well, I want to impress. They've got certain expectations about what I'm going to deliver, but what they expect me to deliver actually isn't what they need, so screw it, I'm going to give them what they need. If I never get to work with them again, then so be it. You can't end up writing just to please the client rather than telling what they need to hear, do you know what I mean? Marcus Lillington: Yeah. It goes back to that what the approach that the guy from AJ & Smart have about making it all very workshop like, and don't worry too much about the user research, we'll just test it later. Maybe that's too far, it's too much of an extreme, because I actually quite like reviewing sites and coming up with recommendations and that kind of stuff, but if you're doing it more hands on, face-to-face, I think maybe it's more likely to be taken onboard, and things are brainstormed together so they're more likely to happen is what I think. Paul Boag: Yeah. Because I can't help but feel like this company has had enough reports. Do you know what I mean? They now need to just let's make some of this happen. But the trouble is, a lot of the reports that they've received are all recommendations, you should do this and you should do that and you should do the other, which is all great, but they don't really know how to do that effectively, and they don't know what order to do it in. They haven't got the right mechanisms in place to actually achieve these things, so there's no good having a load of recommendations if you can't actually do any of them because you're not set up to do them. That's the little rant I'm going to go on. I'm not really writing a report, more of a rant. A 10,000 word rant. Maybe it'll catch their attention. Anyway, it will, but of course, I've got to write the whole thing without an N key, so that'll be interesting. Marcus Lillington: That'll be really hard. Marcus Lillington: [crosstalk 00:07:43] every third word wouldn't you? Paul Boag: My notes for this show say for the next thing that I have to discuss is ext seaso. Marcus Lillington: Yeah, and your not to me before we started was I can do this ow I think it said. Paul Boag: Yeah. That's the world I live in now. Anyway, what I'm supposed to be talking about, I'm guessing ext seaso is actually next season, because this is the last one for this season. Marcus Lillington: It is. What we doing next season Paul? Paul Boag: You think dear listener, that Marcus is saying that because, you know, to laterally lead on to the conversation, it's because he actually doesn't know. You've no idea have you, what we're covering next season? We never even discuss it do we? Marcus Lillington: I think you did mention something two or three episodes ago, but that was two or three episodes ago. So much has happened since. Paul Boag: I know. Life's just so busy isn't it? Marcus Lillington: You'll say it and I'll go, "Oh yeah, I remember." Paul Boag: Encouraging clicks, does that help remind you? Marcus Lillington: Yes. It's all about your brainwashing techniques. That's what we're going to talk about next season isn't it? Paul Boag: Don't say it … Basically I'm releasing this course aren't I? Marcus Lillington: You are, yeah. Paul Boag: This five hours worth, which by the way, I want to kill myself at this point, five hours worth of video recorded material on encouraging clicks. The whole thing is titled An Ethical Guide to Persuasion. You then call it brainwashing techniques, which is harsh Marcus. Marcus Lillington: You set them up, I'll knock them down. Paul Boag: Exactly. We're going to be doing that. My problem is, is that I hate producing stuff, and I know I should write yes, you should sell your knowledge, people should buy it, and I know that's right and I am going to sell this course, but then I have this overwhelming thing of well, not many people are going to get to see it then, and I've put a lot of effort into this, so what I end up doing is giving away big chunks of it, and it's like er. Marcus Lillington: Which makes sense. That's how most people sell these days isn't it? Paul Boag: Yeah, that's true. Marcus Lillington: By giving away their knowledge, and that might mean that they want to work with you in the future or something. Paul Boag: Yeah. Obviously we can't cover all of that material in the next season, and also of course, people know that this is the podcast, so you know that anything that's going to be discussed on this isn't going to be presented in the orderly, nice, professional way that the course is. No, it's going to be constantly interrupted by Marcus making snide comments the whole time. Paul Boag: Well you've already made snide comments about it and we haven't even started it yet. Marcus Lillington: Just the one. I'm normally very pleasant to be around and I say nice things Paul. Paul Boag: It's a long season next season. Paul Boag: Yeah. It starts August 16th we're going to kick off, and it's going to run all the way through to Christmas. Paul Boag: Well almost Christmas. Marcus Lillington: Okay, yeah. What's that? About 20 episodes. Paul Boag: Yeah. When I say all the way to Christmas, I mean the 22nd of November, which isn't Christmas at all is it? It's 15 episodes long all right, and then we're going to have a really long Christmas break I've decided. Marcus Lillington: That sounds nice. Paul Boag: It almost makes it sound like this show is a hardship to do doesn't it? Marcus Lillington: Well, it isn't, but this season I've had to come up with things, which is quite hard. Paul Boag: Do you think? Well oh, how many times have I done that? My wife's waving at me, what she doesn't realize is I'm recording a podcast. Hello. Paul Boag: How are you? Cath: I'm fine thank you. Paul Boag: Marcus says hello. Paul Boag: All right, there you go. She's so much happier since she's stopped transcribing the show. Marcus Lillington: I think that is one of the forms of hell. It's got to be. Paul Boag: I know. But the irony is, this is so funny, so she stopped transcribing the show a little while ago, and then we had this long conversation of we want to involve Cath in the business now. James is back off to sixth form college, so he doesn't need home schooling anymore, we've got the house renovation project is done, so she's got time and she wants to start building up a career. She's got a lot of experience in governance and that kind of stuff, from when she used to work, so perfect to work alongside, but obviously she's got to get up to speed, there's a lot that she has to learn and all the rest of it. She's come on as my intern. That's not working. But the irony is, the very first job she had to do was a load of video editing of me doing this course that I'm doing, so she stops doing the transcription and now has to listen to me and watch me spouting crap. Marcus Lillington: That's hard. That's tough. You're a hard taskmaster Paul. Marcus Lillington: But she's learning quickly I'm sure. That is going to make you learn to edit stuff really quickly isn't it, in her case? Paul Boag: Yeah. She'll get really fast at editing. But it also means she has to listen to me, which she never does in any other area of our lives, so it means that she might learn some stuff. Thank goodness she's not going to hear this. Paul Boag: That's the nice thing about her not transcribing the show. Anyway, all of this, we've spent over 10 minutes now. You've obviously got me in a talkative mood and we haven't actually done your thought for the day yet. That's the really important part. You don't think you're getting out of this next season do you? Marcus Lillington: I have already set myself a weekly task of coming up with a thought for the day. Paul Boag: I'm so glad, because we haven't talked about whether you're going to do it next season, and I really want you to. It's good to have different perspective because I can sit back and I can learn from you, which is nice. Go on then, what's your thought for the day? Marcus Lillington: Right, this one is about managing a team, or [inaudible 00:14:04] of running an agency, but it's more managing a team, and trying to, in brackets, managing a happy team. Obviously I don't want to come across as if I assume that's what I'm doing, but I hope we're managing to manage a fairly happy team, and these are a few points that we try to adhere to, to make that happen, so that's what I'm going to talk about. Paul Boag: They must be reasonably happy because nobody ever leaves. Marcus Lillington: They don't, no. No one's left for a long, long time, so yes. Short answer. Paul Boag: It does help that you hobble them like they used to do to slave, where they can't actually run away because they've been hobbled. Marcus Lillington: Yeah. They all have balls and chains round their ankles. Marcus Lillington: Anyway, right, so a few things that ill just talk about. Working hours is one, one that we feel you need to be quite flexible about. You can't be too flexible because if you make it you just need to do eight hours or whatever, whenever you feel like it, then you end up with a team that some people work in the middle of the night and some people work in the middle of the day et cetera, and nobody ever talks to each other. We have got a crossover period of maybe say 10:00 until 4:00 or 10:00 until 3:00, something like that, where we expect people to be working so that they can communicate with each other, but otherwise, yeah, you can, as long as you get the work done, come and go when it suits you, which is, we think, helpful. Also, we don't get fretty if you've got a doctor's appointment and things like that, and I know a lot of companies do, or they did when I used to work in big place. Yeah, just treat people like adults I suppose, then hopefully they'll treat you well back. The other one is, and this is connected with that, is allowing people to work from home. My favorite way of working is about 50/50, or maybe 40% office, 60% at home. That seems to work for us a business quite well, although Ian and Lee, they work miles away, so they come in every two or three weeks and spend a couple of days with us. That seems to work very well and people seem to like that a lot. Working environment is another one. I really like … Sorry, I'll start again on that one. It seems to me that the way that people work in modern companies that are digitally transformed, that people don't have their own space, that you hot-desk and stuff like that. Marcus Lillington: I really don't like that. Paul Boag: I don't either. Marcus Lillington: I think it's important to give people their own desk that they can make their own, so we do that. Yeah, so I don't know why that's the thing these days, but anyway. Paul Boag: Well it's more efficient isn't it? Paul Boag: Well, I don't understand. Yeah, I think it works out better if people move around and it's more flexible and cheaper or something. I don't know, but the only thing I would say in favor of hot-desking is the fact that is does mean that I can go and sit, it doesn't apply at somewhere as small as Headscape because you all sit in the same room anyway, but at a larger organization, it does mean that, because the problem I often come across is that teams are spread over multiple floors so you end up with IT on one floor, you end up with marketing on a nother and design at another, and that fosters a slight distrust of each other. These people are supposedly all working together to achieve whatever project, but they're not really because they're spread over multiple floors. At least of they're hot-desking, they can move and sit with one another. Paul Boag: But that only applies at big organization, not at somewhere like Headscape. Marcus Lillington: Yeah. I get it, I suppose if you've got a team of 10 people all in one block, who've been there for years, there could almost be a wall around them couldn't there? Marcus Lillington: From that point of view, I get that, yeah. But I think people like to have their own space, so we [crosstalk 00:18:16] that. Paul Boag: Yes, I agree with that absolutely. Marcus Lillington: The other one is work quality and diversity. I've written this down in the kind of that's what we're aiming for. Paul Boag: Hang on a minute. Diversity, Headscape. It's got, what is it? One female employee? Marcus Lillington: No, the diversity of the work we do. Paul Boag: Oh, okay. I thought you meant in people. I thought you were about to claim that it's really important that you've got a ethnic diversity and a diversity of gender and that kind of stuff. No women want to work with Headscape, they never have. Marcus Lillington: This is not true Paul. Well on that subject, well let's go there, yes we should be more diverse than we are, and we would like to be. Paul Boag: Yeah, I know. Well at least there was one stage where we had no women working with us. Paul Boag: I don't count Cath when we worked with us. That doesn't count. Marcus Lillington: You're just digging it even further now. Paul Boag: Why not? She doesn't listen to it, I'm fine. Marcus Lillington: Yeah, you're okay. But anyway, yes, so trying to provide interesting and different types of work, and we can't always do that, but we do try and we try to … Basically Headscape is two teams, it's one team can do a project and number two team can do another project, and we try and make sure that they all get mixed up and if one person has done a big American related project, then we'll make sure that the other team gets to do that the next time round. The other thing, again, we try and do, we don't always stick to this, but is to have fixed days, so we have a fixed day every week, where we do all the little bits and bobs so that they don't get in the way of the bigger project work again. Paul Boag: That's a really good idea. Marcus Lillington: Sometimes it doesn't always work, but generally it's a good thing. Holidays is the next one. Again, well I think this has been generally seen as a very bad idea, but it was trendy about two or three years ago, that trendy companies were saying to people, "You can choose when you go on holiday," which I think is crap. Paul Boag: Well hang on a minute. I think you need to clarify that. You don't mean choose, because obviously people can choose when they go on holiday, you mean that they had unlimited holiday. Marcus Lillington: Unlimited holiday, yes, that's what I meant. Paul Boag: Which is code for if you leave the office, you're going to be guilted into the fact that you've taken a holiday. Marcus Lillington: Exactly. What we try and do is we give extra holiday for long service, and as you've already pointed out Paul, nobody ever leaves, so pretty much everybody's got the full amount of holiday now. This was the point relating to my day tomorrow, is I don't think directors should take the piss. It's very easy for me to just go, "I'm not working tomorrow," but I think it's important that we're seen as being part of the same process that everybody else goes through. Marcus Lillington: I've booked my day tomorrow. Paul Boag: I think, sorry, the other thing that I think is worth saying on that one is I've known Headscape actually have to persuade people to take time off, and I'm glad that we do that at Headscape. That we say, "Look, actually take your holiday," because it's not good foe people just to keep going and going and going the whole time. Even if they don't want to take a break, they should be made to. Nanny state. Marcus Lillington: Yes, we can encourage people to do that. Yes. We don't order them. Paul Boag: No we don't. Marcus Lillington: Anyway, final two points are about get-togethers. Work related ones. This goes in waves with us, this idea of everyone coming together and talking about new stuff or what they're working on and that kind of thing. We're not really doing that at the moment. I'll imagine we probably will again in six months time, but we do always have noodles on Tuesday lunch times, which is a nice thing. Paul Boag: We always used to play boules. Paul Boag: Boule when we were in the barn, and that was always a nice little thing that we did together. It's good to have a thing you do together isn't it? Marcus Lillington: Exactly, yes. Social, I think it's important, but we're fairly rubbish at this. I think it's because we live so far apart from each other, but I think it is important to see each other on a social level. Christmas we always do pretty well. Now we've started to celebrate project completions, which is a nice thing as well. Paul Boag: I like that idea. That's a good idea. Good. Marcus Lillington: Although one thing that came up on, this is the very final point, it was on the [inaudible 00:23:07] Snack Channel about somebody was saying that a friend of theirs was effectively being forced to go out on these work related social, very alcohol fueled type things, and they were more introverted and felt very uncomfortable about it, so you need to be careful on these things, but yeah, it doesn't hurt once in a while, I think, for everyone to get together. Paul Boag: Yeah, you are right about that. If you're going to have it, if you're going to really strongly encourage people to do that kind of thing, it needs to be the right kind of environment, where those people that aren't so outgoing get to not be so outgoing. That's a really good one. That was my favorite thought for the day so far. You're getting better and better at this Marcus. Well done. Marcus Lillington: Or a pat on the back. Paul Boag: Do you feel suitably patronized? Marcus Lillington: Absolutely massively so. Marcus Lillington: But I'm going to keep smiling. No, I'm quite enjoying it. It's making me think, and that's always a good thing for my old brain. Paul Boag: Do you know, seriously, that's why I've kept blogging for so long. One of the things people often say to me, "How do you keep doing this week in and week out?" A lot of people give up blogging because nobody's reading it, what's the point? But I don't blog for people reading it. Don't get me wrong, I love the fact that people read my stuff, but I blog because it helps me think things through and consider stuff, so yeah, I totally get it. All right, let's talk about our first sponsor, which is Fullstory. Thank you guys at Fullstory, so much, for your just amazing support. I'm almost embarrassed, I'm thinking about the next season, and it's like do I go back to them and ask them again? That's a bit embarrassing really. But on the other hand, it's rude if you don't. I feel like that about Balsamiq as well. Marcus Lillington: You've got Paul. You have to. Paul Boag: I don't know. It's difficult isn't it? Yes, Fullstory, they've been brilliant at supporting the show, and it is the best session recorder out there. Screw Hotjar or whatever. I'm probably not allowed to say that. That's a very inappropriate thing to say. Marcus Lillington: I will be, sorry, this is a relevant interruption, I'm going to be doing some session recorder analysis from another third party supplier, so I'll report back on how that goes when it happens. Paul Boag: Yeah, okay. That's interesting. It'd be quite interesting, I wonder if we could persuade, if the Fullstory guys ever do sponsor the show again, and if they don't I completely understand that, but to actually maybe get their sponsor slots to be giving some little tips and advice about how to get the most out of session recorders, and do that kind of analysis. That'd be really interesting wouldn't it? Paul Boag: I quite like that idea. Paul Boag: Yeah, it would be. Anyway, so Fullstory, we all know what session recorders do and that they let you watch back a user session. Incredibly useful for getting natural user behavior and getting insights into that. But some recorders that shall now remain nameless, even though I've just named them, I find them very overwhelming, that you get so many sessions, but it's hard to find the sessions that are actually useful to you, and that tell you what you want. Also, in some of them, and I don't know, I have no idea whether this is true with the aforementioned example I gave, but with some of them, you have to plan ahead in order to gather data, so you have to set up event handlers and all that kind of stuff. Fullstory solve those issues because it records every session, meaning that you don't have to plan ahead. You can search on almost anything from what text people click on, even down to what dom elements they're interacting with. That means you can easily find specifically what you're after. It'll even track things like moments of frustration, like rage clicks, which is always very funny to watch, where people suddenly just freak out and go, "Why isn't this working?" And start clicking repeatedly. It's not funny if it's your site, it's only funny if it's somebody else's site. You can sign up today and you can get a free month of the pro account. No need to enter a credit card or anything annoying like that. If you get to the end of the month and you want to carry on, then great, no problem. If you don't want to carry on, you can still get 1000 sessions per month for free. Just go to fullstory.com/boag, and just give it a go. It's fascinating, even if you're never intending to spend money with them. Not that I said that because that would be bad. All right. Let's talk about our interview today. This interview, just I sat there grinning from beginning to end. Caroline Bell I met when I was doing an E-consultancy workshop, I regularly do E-consultancy workshops, and she came along to one. She's from a company called LV= that are a insurance company here in the UK. She was just so positive and upbeat in our meeting, but also I thought in the workshop, and I just thought she'd be such a great person to get on the show. Sure enough, we get her on this podcast, and she's so like, "oh, we could do this and we could do that," and she's so upbeat and positive, despite the fact that it's quite a hard environment to work in. Not that the company's hard, but the financial sector, there's so many rules and regulations it can be quite frustrating. But anyway, check out this interview with Caroline, and I'm sure you'll agree that she's a bit of a star really. A bit of inspiration. Here you go. Hello Caroline. Thank you so much for agreeing to be on the show. I really appreciate you taking the time. Caroline Bell: Thank you so much for having me. Paul Boag: We thought a good place to start would be maybe you tell us a little bit about your role at LV=, and maybe a bot about the company as well. Caroline Bell: Yeah, sure. My title is Digital Experience Architect, which sounds slightly vague and doesn't really explain exactly what I do, but essentially what I do is I work on all UX things related. My work varies from getting involved on different projects that require UX research, so getting involved in creating personas, carrying out all that research prior to creating those personas, user testing, user [inaudible 00:29:52] mapping, and also on the back of that, I do a lot of the UX design, so designing solutions up in wireframes, running workshops, prototypes and all of those things. Your second question was about how we set up as a team? Paul Boag: Well no. Before we even get into that, I think just for people that don't know what LV= do, it'd be useful to know a little bit about the company. Caroline Bell: Yeah, sure. I think a lot of people think that LV= is purely insurance, and it is what we mainly do, so general insurance such as car home, motorbike, caravan, but we also have the other side of the business where we work on other products such as life insurance, we offer retirement and pension advice, and also advice in investments as well. Paul Boag: Okay. That's interesting to know. I didn't realize that you did quite that broad a range of stuff. Obviously there's a lot of people that listen to this show that are outside of the UK, and so might not have come across you as a company before. Paul Boag: You mentioned there, very briefly, about this idea of how you're organized and structured as a company. What team are you a part of? Where do you sit in the company? Caroline Bell: I sit within a digital team. Within the digital team, there's about, I'd probably say 40 to 50 people within the [inaudible 00:31:24] team. Then that team is broken down into sub teams, and my team is the UX team. Within the UX team, we've got UX designers, a new UX researcher, which is great, and the UX manager heads up that team. Paul Boag: Okay, right. That makes sense. The digital team sits within what? Caroline Bell: Just if we take a step back slightly so I can help you answer this question. Paul Boag: Yeah, that's fine. Caroline Bell: Yeah, the company is split into two if you like. We've got a general insurance side of the business, so you've got, like I said, the car, motor, those sorts of general insurance type products, and then the other side of the business, we've got our life insurance, we've got retirement and pensions, we've got investments. I sit in that life side of the business. Caroline Bell: Within that side of the business, we've got a digital team that it consists of people who work within the content, so making updates and changes, and creating new pages within a CMS system. You've got the marketing team working on the campaigns, and you've obviously got the UX team, as I mentioned before. That team, they're a support team, a custom [inaudible 00:32:45] support team to that wider life business. Any digital propositions, anything that we can help in terms of explaining or selling a life digital product, we support that side of the business. Paul Boag: Sure, okay. Is there a separate digital team for the other side of the business? Caroline Bell: Exactly. Yeah, there is. In the general insurance, they've got their own digital team, and within that digital team they've got their UX team. Caroline Bell: I wouldn't say it exactly mirrors in terms of the structure on the general insurance, to the other life side of the business. There are slight differences in terms of how they're set up, but they do both recognize on each side of the business, the importance of UX, and that UX team has grown within those digital teams on both sides of the business. Paul Boag: Okay. How much do you have to do with the UX team on the other side of the business? Caroline Bell: Yeah, historically, it's always been quite separate, but there has been a recent project that I have been involved in, which meant that we needed to collaborate on. I have worked very closely actually, to the other side of the business, and it's been great because obviously with systems thinking coming in and being more collaborative in the way that we work together, it's been a great experience and there's been many learnings about the culture, about how the other teams are set, and about systems and practice of processes that I've learnt just from mixing and collaborating with that other side of the team. Paul Boag: That's worked well? You've enjoyed that experience of getting to work with another group of UX people? Caroline Bell: Definitely. I think that if there's any opportunity that we can work more collaboratively to gain more insight into the culture and into different practices of processes that they've tried, they've experience, that have worked well, so it's great learnings that we could benefit from. Absolutely. Paul Boag: Are they targeting a different audience to you, or is it quite similar the audience both groups are reaching? Caroline Bell: With the general insurance, yes it is different. They're targeting people with a different demographic, so for example, usually 45 plus, but also in their behavior as well, it's very different. It's very quick. We get a lot of audience obviously coming through from more aggregated sites on the general insurance side of the business as well, so there's that factor too. But their behavior again, it's very different in terms of there's a quick E-commerce type of approach there, whereas the life side of the business, it's the way that we target customers is more around their behavior in wanting to research more about the products, because the products on the life side are very different. It's more about providing a service, and the service if financial advise. Therefor users need to understand, and we will try to explain that, the benefits of advice and how it can enhance their pensions for example, and how we can help them create better decision with their finances. It's more about guiding and coaching, and therefor providing all that rich information, as opposed to making a quick purchase. Because there's different needs from a different product, therefor it's a different audience, and obviously demographics are different, especially with the retirement and investments, you're targeting a higher age group, so you're looking at 55 plus really. Paul Boag: Yeah, that makes a lot of sense. There's something immediately sprung to my mind when you were just speaking there, we're offering financial advice. My instant reaction was I bet you spend a lot of time fighting with compliance and legal restrictions placed on you. Is that proved a challenge? Caroline Bell: Yes. [inaudible 00:37:24]. I think that anyone who works for LV= financial company, there are a lot of restrictions. It's not to say that we have a bad relationship with compliance because we don't, because ultimately we're aiming for the same place. We want to offer you a good customer experience. We want to be able to provide the the right information at the right time, in order for them to make a wise and good decision. Ultimately we're aiming for the same thing, but obviously we are taken back a little bit. I think the way I see it is that we as a UX team, we provide and we design solutions for optimal experience, and we come up with these lovely [inaudible 00:38:10] and everything, but we get scaled back. We get scaled back obviously, but compliance. Examples of this could be that we can't say certain things or we have to include lots and lots of T and C on the website. We have to, as a UX team, think about how we can deal with that. How do we deal with all of this content that we need to provide on the website, without taking users away from having a good simplified user experience? Yeah, so we need to balance that quite cleverly I guess, in order to provide a good experience for user, and not baffle them with so much information at the same time as well. Paul Boag: Yeah. You said something quite interesting there, which is that we create the perfect user experience, and then scale it back. That, I think, is the right way round to do it. I see a lot of companies that the UX designer sits there and goes, "Well there's no point in me even trying to do that because it'll never get past legal and compliance," and so they're self-censoring. I often find that if you've got a good legal and compliance department, which it sounds like you guys have, you can work out compromises together. Does that make sense? Caroline Bell: Yeah. That's exactly what we try and do. I think it's within our team, we're all quite ambitious, we all want to change things, we know things aren't perfect, we want to make things better. That's where we all come from, and that's why we always try to create these experiences and these wireframes and prototypes that we're really proud, but we're not naïve thinking it isn't going to get scaled back, but it doesn't mean that we can't stop trying, so we push their boundaries, but I think that they enjoy the challenge. Paul Boag: Yeah. It should be a good working relationship. You said right at the beginning, which I thought was a nice thing to say, that you're after the same thing, and you don't see them as the enemy. I do think a lot of people get into that mindset of seeing legal and compliance as the enemy, when actually, they're just trying to do their job. They're trying to pick through what could be a very complicated and messy situation, because a lot of legislation really lacks definition in terms of practical application. It's a really challenging role I always think. Paul Boag: The other thing that you said earlier, which I thought was quite interesting, is you described yourself as a service department, to help deliver on the products and services that other people within the organization are trying to promote. You've got these parts of the business that are the product owners, I'm quite interested in the working relationship there. How does that work? How restrictive is their brief to you? How early in the process do you get involved et cetera? Caroline Bell: Yeah, it's a really good question. At the moment, as it currently stands, we get briefed in from different areas of the business, on various digital requirements. When they come in, that's when we liaise with the project managers and they look at what areas are required, so with how much UX input is required, how much content, how much marketing, blah blah blah. That's how it currently is set up. I'm quite an advocate of getting involved much earlier on, so being very much a central part of the business. When competitions are created, we are part of that, [inaudible 00:42:09] from the user experience from the very beginning, not just at the end, thinking oh, can we just put some UX stuff on the end of that please? I get that, and the interactivity on the website is important obviously, but also, not necessarily more importantly, but the other part of that is to think about is this something that users actually want? Who are the actual users that we're speaking to? Is there a gap in the market for this? All of those questions at the very beginning, we need to be a part of that. We need to be involved, and actually play a big part in that. That's something I'm quite keen on pushing, and I'm quite an advocate of being very much part of that centralized part of the business. Paul Boag: What kind of reaction are you getting to those kinds of suggestions? Are people open to you being involved earlier? Is it literally a time constraint? Why perhaps hasn't that happened? Caroline Bell: I think it's probably user experience, it's fairly new to some people. Not everyone is aware of the com industry. There is that. There's the thing about the digital team in itself, that we get comments such as, "You just color in boxes. Is that what you do as a digital team?" They do the serious stuff, which is provide financial advice. There's that kind of attitude still, that we get. But in terms of being open as a business, I have to say, for a corporate environment and for a financial company, they are more open to change and to innovation than I expected. It's not completely, "Absolutely no way Caroline. We cannot do that," it's, "Okay, this is an interesting idea Caroline. Let's see what we can do." It's very much, "Okay, well this is a really great idea, but can you put a plan, can you put a strategy, can you put a business phase together in order to make this happen?" That's the response I get, but it's when you have that time. These things, they're not a quick … Also, it's not something that I can do by myself. It's something that we have to do as a team, and I have to obviously get my seniors within my digital team, to believe in that as well, as much as I believe in it too. But those are the kind of challenges I get, and I think that I absolutely have put [inaudible 00:45:07] together, but then obviously it's putting it into place. When you've got your day-to-day jobs, it's you don't always have that time. Then other projects come in, you know how it goes, and so in terms of we've progressed with that, I would say that the awareness is there now, it's just a case of putting it into practice and getting everyone onboard to do that, but I think it's going to be time as well, before that actually happens. Paul Boag: I like your attitude towards it. You're not being unrealistic in it. You're recognizing that this takes time. That changing a culture takes time. I also like the way that you describe and talk about your colleagues. That you're not describing them as resistant or being difficult or awkward. You're framing it in terms of well they just don't really understand it yet. I love that because I encounter so many UX people, and I can understand this, that have got trodden down. Does that make sense? Paul Boag: They've found that battle tiring, and they've just got the point of seeing everybody else as the enemy. It's very difficult to bring about change once you get into that mindset. I think you're in a great place, and I think that's really encouraging. I love the fact that there is that willingness to consider doing things differently, they just need it explaining to them, and that's fair enough isn't it really? Can't really argue with that. Caroline Bell: Yeah. I think as part of being involved in UX, it very much is about communication. You have to get along with your colleagues. Part of your job is you're selling yourself as a UX specialist, and with that, you have to have communication skills, you have to have those influential skills, not just with your good experience with the users, but it's everyone around you within your [inaudible 00:47:08] team, within your wider business, we need to sell UX, we need to be the advocates of it. With that, you have to have those communication skills, because otherwise, I personally don't know how far you would get without that. Paul Boag: Absolutely. It always amuses me how good we are as UX professionals, as empathizing with the end user and communicating and speaking with the end user, but as soon as we start talking about our own internal stakeholders, suddenly our empathy goes out the window, and we turn into these grumpy arses basically. Caroline Bell: Yeah. Don't get me wrong, it's not all nice as pie. You have conflicts, but that's just natural. But wherever you've got a [inaudible 00:47:53], you've got politics, and there is politics, like I imagine every company does when you've got a lot of colleagues. It's not without its problems, but I think our problems are very similar to other big corporate companies. But it's just a matter of seeing the bigger picture and seeing actually, what is it at hand that's the issue here? You write all the things down, you write actually, what does it all come to? It comes to just a misunderstanding and an unawareness, that's all it is. If I can get over that, then I could be in a much better place. That's how I see it. Paul Boag: It sounds like almost your biggest barrier in some ways, is having time. Time to educate people, time to ut together these strategy documents and that kind of stuff. Is that a fair assessment? Caroline Bell: Absolutely, yeah. You're spot on. Paul Boag: That's such a common problem in so many organizations, that they run staff at such a high level of engagement, they want to keep them be as efficient as possible, that you don't actually have time for planning with the future. It's always that short-term work. Caroline Bell: Yeah. Time is always an issue. You get BAU stuff that comes in from day-to-day, it's just you can barely fit it in within your working hours, and to do the strategy and the business case, it's very much do it in your own time. Paul Boag: Yeah. It's frustrating isn't it? But again, very common across all organizations. Another thing that I wanted to pick up on was you just talked about your digital team, and you ran through the different groups within it. You didn't mention developers. Do they sit separately elsewhere? Caroline Bell: This has been a bit of a problem actually. Caroline Bell: We don't have, well I should say we didn't have, we have two developers that have just joined, at front end development, but we don't have any back-end developers. This is something that's recognized as an issue, and we are working on that. I know on the other side of the business, in general insurance, their setup is every different. They've got a large development team. This is where I said they don't quite mirror each other on different sides of the business. I think that's there is definitely a recognized need for them, and that will change in the near future. Paul Boag: Because I think that's a really smart move from you guys, to get developers as part of the team, because you just want everybody sitting together and working together. Are you reliant on outside developers at the moment, or are they just in a different team somewhere? Caroline Bell: We do have developers in a different team, who actually sit in a different office. They provide development support for the whole business, not just for our digital team. In terms of getting developers in, absolutely just the collaboration of sitting down with a developer and saying, "Can we do this [inaudible 00:51:11]?" It's just so much quicker and easier. The communication is so much easier. As always, it's down to money, but in terms of answering your question, yes, we have been outsourcing with developing, with development projects. We do, at the moment, have obviously our CMS system, we can do all the edits ourselves on the CMS system. That can all be done in-house. It's more to do any new projects, new initiatives that cannot be done within the coms management system, then yeah, then we outsource with all that stuff. Paul Boag: Okay, right. That makes sense. Well, I think that's a good ambition to bring that into the team. Talking of ambitions, are there other things that you would like to do, but maybe haven't managed to yet? If you could wave a magic wand and do what you wanted in the company, what would you do differently? Caroline Bell: That's so many things actually. Paul Boag: All right, start listing. Caroline Bell: First of all, with the structure of the team, I wanted to get more of a balance in the types of UX specialist skills, so for example, we heavily were on UX designers, so I wanted to bring in more UX researchers into the team. A lot of what I saw when I first joined the team, was a lot of wireframes and prototypes, but not so much of that UX research to drive some of those designs, so I really wanted to get that balance with more UX researchers into the team. Obviously developers as well, we needed to get that balance. I wanted, obviously, like I've spoken to you before, getting that centralized position within the company, to be part of the project at the very beginning, as opposed to just fixing things at the end. I wanted to improve our practices and processes, to get much more streamlined, so we can do testing, so UX testing, AB testing, and work collaboratively with the data analysts to come up with solutions, but a lot more quicker, a lot more slicker. I really wanted to get that streamlined so we can get to a good place in terms of making improvements to our digital assets. What else was there? I wanted to speak more, be more of an advocate across the business, to talk about what we do, but also the outcomes of what we do. All of that hard work that we know that we've done, while they think that we're just coloring in boxes, I wanted to show what that was, got some stats there to actually say, "Look, yeah, from coloring in boxes, this is actually what we've achieved. We've actually improved customer experience rates, we've actually improved the revenue by so much percentage." I wanted to do much more about how the value of user experience can have within a company. Also, just general things like when I said practice and process, I want to create our new toolkits and I want to create a new asset place, basically an online forum where we can be a lot more consistent with the way that we find things, the way that, so for example, our methods of research, I wanted to have an online area where we can use that so we could all some from the same place. Like I mentioned before, we are two businesses within one, I wanted to create that consistency between the two businesses, and I think an online place where we can hold all of our information about UX would be fantastic. Also, I wanted to start a schedule of usability insights, so everything that we measure. Everything from data, everything from user testing results, AB testing, so everything that has come in and the stuff that we've changed on the back of that, we start recording. We're learning from all of our insights, and learn from our mistakes, and continue this test and learn approach. All of that, I wanted and would like to do, and I don't think any of those things are unachievable. I think that within time, I think they are possible, it's just a case of proving some of these things, the value of these things, and then speaking to the right people at the right time, so we can push these things forward. Paul Boag: Yeah. That is a fabulous list. I couldn't agree more with absolutely everything on that list. It was very good. You're right, it's about patience, it's about perseverance and those kinds of things. How do you decide which of that list to focus on first? Or next should I say. Is it just gut reaction, or do I have some kind of secret master plan somewhere? Caroline Bell: I don't have a secret master plan. I'm working on a big project at the moment, that will be wrapped up in the next two weeks, and I think this will give me time to put some of those things that I had in my strategy, forward. In terms of where I'll start, I'll probably think about the quick things first, so looking at getting a style library and putting together some of those toolboxes online. Those are quick wins, and I think that we can also prove the value of them quite quickly as well. I'll probably start there. In terms of changing the culture and changing attitudes in regards to UX, and maybe putting articles out or doing other things to create awareness, those things would take longer to do, so I'd probably do them after. But I think it's anything that we can do, obviously that's a quick win for us, but also that will see an impact to create a better experience for users. That would also be where I'd also start first as well. If we can start streamlining our practices and processes, and we can start doing our schedule for regular user testing, that stuff, I can see the benefits quite quickly I think. Paul Boag: Also, what I loved about those ones that you picked out there, is they've got several benefits to them. One is that, as you say, they're quick wins, they're quite easy to implement. Two, y don't really need anybody else's permission to do those kinds of things. It doesn't have a wide impact. It's more about your own working processes and practices. Three, there is measurable returns on all of those things. You can see the impact that they have in terms of efficiency and quality of work, which is great. The [inaudible 00:58:29] thing about introducing regular usability testing as well, is it quickly begins to expose other people in the organization to some of the challenges that users face, so yeah, totally agree with you on that. It's a really good list. Sounds like you've got an exiting time ahead. Caroline Bell: Very much so, yeah. I feel like I've got the energy and I've got the drive to make these changes now, so I'm actually quite excited. I also think that, like as I mentioned before, that LV= as a company, I think they are quite open to change, and I think, as you know, a lot of companies are going through this digital transformation period, where they're recognizing that they need to get on top of this. There's all of these new digital technologies coming up, and expectations are rising, and all of these FinTech startups are doing all these amazing things, and I think that it's waking people up a little bit, like yeah, we need to get on top of this. Paul Boag: Yeah, absolutely. I've got to ask one last question, which is how long have you been at LV=? Caroline Bell: It's coming up to two and a half years. Paul Boag: Right. See, you said something very interesting that grabbed my attention then, which is you say I've got the energy to so this right? Paul Boag: I find the longer someone is at a company, the more they get sapped of their enthusiasm and drive. How do you keep going? Because you seem very upbeat about it. Are you just pretending for the interview, or you really are still that enthusiastic? Caroline Bell: I do actually [inaudible 01:00:14] that enthusiastic. I guess I've had a few good opportunities at LV=, and that has been great. This last project I've worked on has been fantastic. I have learnt an incredible amount, and so I guess I have that loyalty to the company because I've been lucky to have those opportunities. Caroline Bell: Also, I've met some brilliant people who have become my mentors actually, within the business. They've been incredible. From a UX perspective, they've offered lots of support and encouragement, and I think that's great because when you have one of those days where you feel so frustrated, and you're like, "I don't know why I bother I try so hard," and then they just pick you back up again, which is great. But all that emotional support that you need to just keep you going. I think I would always be an advocate of having a good mentor, because they have definitely helped me through, but I guess sometimes I just see the bigger picture I think. I just think that I see that other companies are like this. I'm not naïve to think that other companies don't go through a similar experience, or UX practitioners don't go through similar things I read stuff and I listen to people who work in the UX field, and I hear very similar things, so I think I have that wider awareness of that too. Paul Boag: That does make an enormous difference, and that's why I'm so grateful you've come on. I think you're the last person that I'm speaking to this season, and I'm absolutely over the moon with this conversation because you've been very open and very honest and very real about it, and people need to hear that. Some of the previous interviews that I've done have been brilliant and really informative, but they're a league ahead, do you know what I mean? They're operating in these incredibly highly UX focused organizations, and interviews like that can leave you feeling a little depressed can't they? I wish we were in that kind of situation. Paul Boag: While you're in a much more real situation, where most people are at, so absolutely great. Thank you so much for coming on, and yeah, best of luck launching this new project, whatever it is, in the next couple of weeks, and with your plans for the future. Caroline Bell: Thank you very much. I appreciate you having me on. I was really excited to come on to your show. As you know, I'm a big fan of yours, so thank you very much. Paul Boag: There you go, that's the interview with Caroline. Very enthusiastic, lots of great ideas. I love her vision for the future. She might not have been able to do all of it now, but she's certainly got a solid plan in her head of where she wants to go, and a really positive plan. What did you think Marcus? Marcus Lillington: Yeah. A few little points. One, it surprised me that there wasn't more interaction between the two teams. I know that it's kind of like two different businesses, but you'd think there would be some kind of financial wins for the company to have them merged a bit more. But maybe they'll get there with that one. I've got just a general thought for the series, and the thing, and I mentioned this way back, I think it was the IBM one, what I've taken from this is that designers/UX people now wield a ton of power, and therefor need managerial skills as much as their design skills. Paul Boag: Totally agree with that. By managerial, I don't know whether managerial is even the right word anymore. It's leadership skills isn't it? Marcus Lillington: Yeah. That's what I meant, yeah. Marcus Lillington: I just used the wrong word. Paul Boag: Well, it's not really. It depends on your definition of managerial. Basically it dates I Marcus. Talking about managerial, that's so old fashioned. You wouldn't get a manager in a trendy startup. They'd be a ninja leader or something wouldn't they? Marcus Lillington: Yeah. Which is better. Marcus Lillington: Which is better? Paul Boag: I don't know. Obviously a ninja leader/unicorn is better. Marcus Lillington: Obviously Paul, yes. Paul Boag: Obviously. Yeah, it's been a good season. To be honest, I've got to confess, this season was pretty much for me because I wanted to nose at what was going on in lots of companies, and it gives you a good excuse to do it. Everybody that's been on the show have been such good sports, and talked very openly and honestly. Paul Boag: Yeah, a couple of weeks ago you were going, "I was using Balsamiq," and something about you were trying to get versioning working. Marcus Lillington: That's was it, yeah. Paul Boag: But you couldn't quite work it out. Now, the guys from Balsamiq, they're like, "Can you please send this link to Marcus? Because he needs to understand that we do support." They weren't serious. "Yeah, we do support versioning, and he just needs to pay attention." I've got a link to send you. Marcus Lillington: It wasn't me, it was Lee who was doing the work, and I was just having a look at what he'd done. He said, "I wonder if it supports versioning." You say these things and they get taken out of context, and it goes up the chain and people come back making out I'm a bit silly. Paul Boag: If you're interested, it's docs.balsamiq.com/cloud/alternatives. That's where it's confusing you, because it's not actually called versioning. They call it alternatives, which I think what they're trying to do is they're trying to make it non-techy aren't they? Paul Boag: But actually, I think they've made it more confusing. Marcus Lillington: Well I suppose [crosstalk 01:06:18]. Paul Boag: But the trouble is they listen to this podcast. Now they're going to take that as a criticism aren't they? No. Marcus Lillington: Well I was about to stand up for them and say that actually, that is a more descriptive term, and once you've learnt it, I know that you have to learn that point, but if going forward, that term is used instead of versioning more and more, then that's a good thing in my view. Paul Boag: Yeah, I suppose it makes sense, different versions. You don't talk about … Oh, you do talk about different alternatives. I've just been indoctrinated haven't I? Marcus Lillington: Yeah, particularly versioning suggests that it's more of a history, whereas alternatives, because you might want to go back to a previous wireframe that you'd done 10 versions ago, there's the version word, so alternatives makes so sense. Paul Boag: Yeah, you're right. Let's be honest, it's a lot more compatible to who their main target audience is, which is ordinary people, rather than people like us. Marcus Lillington: Because we're not ordinary. We're extraordinary, or we're uncommon, I don't know. There's probably a ruder word. Marcus Lillington: Weird, yeah. There you go. Paul Boag: Yeah, which brings us nicely onto what Balsamiq is, which is it's a wireframing tool which has got a really low barrier to entry. It's actually great for things like collaboration, which is what you were trying to do. It's great for discussion, it's great for testing, it's great for iteration, it's great for alternatives, and it's also a really good tool which allows teams to sell ideas. If you want to sell an idea to your team, if you want to convince people of something, don't write a long document explaining what it is that you want, create a little prototype. It's quick, it's easy. It's easier to do often, than writing a document, and it causes less misunderstanding. In fact, I would claim that Balsamiq is easier to use than pen and paper, because it's just drag and drop different items that you want. Instead of having to draw a whole calendar thing, you just drag a calendar thing onto the screen. Also, Balsamiq is crap in the sense that well, it doesn't look fancy. Some of these high-end prototyping tools, they look so nice, so when you do usability testing with them, everybody's slightly afraid to say, "Oh no, that's really rubbish," because it looks like a lot of work's gone into it. Well if you keep it looking crap, then people are happier to say, "Oh no, I don't like that very much," so I think they're very clever with what they've done, and really thought through who their audience is, how people respond to wireframes. Spot on guys. I've got so much respect for them. Marcus Lillington: I really agree with that point about the looking crap, because even if you do wireframes where everything lines up and it uses, I don't know, Ariel font or something, I've had testers say, "I really like the different grays," and things like that. You're like, "Er." Paul Boag: Either one of two things are happening there. Either they're lying to you. They're saying, "Yeah, it's really nice," or alternatively they're jut not getting what it is, or both. Paul Boag: Anyway, you can get a 30 day free trial of Balsamiq, and if you then like it, if you go, "This is great, I really like it," then when you sign up, use the code boagworld alongside your billing information, you will get three months for free before they start billing you, which is amazing. You can get that by going to balsamiq.cloud. I should also say the whole of next season, whether they sponsor or not, and again, I'm even more embarrassed to go back to them and I'll tell you why, because if I ask them to sponsor next season, the whole season is based on a course they've already sponsored, so they'll be sponsoring the same content twice, which is probably taking the piss isn't it? Marcus Lillington: You should be in government Paul. Taxing people twice and all that kind of thing. You'd do really well. Paul Boag: I could just give them the season for free couldn't I? That would be the nice thing to do. Paul Boag: Shall I do that? What do you reckon? I've got to now, I've said it on the show. Marcus Lillington: No skin off my nose Paul. Yeah, do it. Paul Boag: No. Yeah, you're [inaudible 01:10:45] you are. I keep forgetting I don't work for Headscape anymore. Right, okay. On that bombshell of me losing half my revenue for next season, let's wrap up the show with a joke. Marcus Lillington: Okay. This is a joke from Francis Barton on the Boag World Slack channel. I hate it when people put dart boards on the ceiling. They make me want to throw up. Paul Boag: Oh no. I really like that one. I don't know why that really appeals to me. That's brilliant. Who was that? Someone from the Slack channel did you say? Marcus Lillington: Yeah. Francis. Francis Barton. Paul Boag: Francis. Thank you Francis. That's a really good one to end the season on. I think it's my mood. I'm like an overexcited schoolkid at the moment. I don't know why. There you go. Okay, so thank you very much for joining us this season. Really hope you enjoyed it. I hope you got as much out of it as we did. Thank you to the sponsors for supporting the show, thank you to all of the guests that have come on the show, I couldn't have won this Oscar without you. It turned into an acceptance speech, so I thought I'd go with it. Thanks to my mum and dad, thanks particularly to my wife for no longer transcribing the show so I can be rude about her, thanks to everyone at Headscape, and yeah, we'll see you again on August the 16th. Thank you very much for listening, and goodbye. Thanks to VectorKnight from Shutterstock for allowing me to use this image.